Search for a Name, Rank, or Ship. Or any combination thereof, example: Ship = Rodney and Rank = Surgeon. 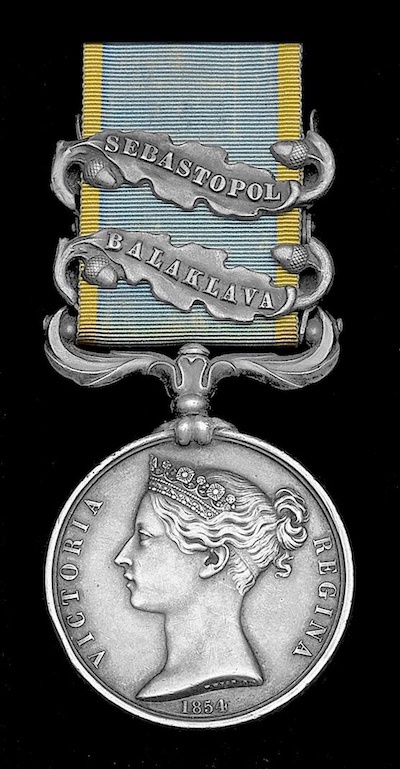 The general rule was that medals sent out to the Crimea were issued unnamed and those to be delivered to officers and men at home were to be officially named. A large order of medals from the Admiralty was placed with the mint in November 1855 and the medals were to be dispatched unnamed to the Crimea. At this time however, it was known that 5 ships would have left the war zone by the time the medals would arrive and preparations were put in place for them to be named and presented to the crews upon their arrival in England. Hunt & Roskell engraved the medals for H.M.S. ALBION and the Mint impressed medals created for the crews of NIGER, RODNEY, WASP and LONDON. A blog with more details is availabe here. List from January 2019. 2 new 1 updates.